The Digital Signage Federation (DSF) has awarded Sonia Darlison the DSF Geri Wolff Scholarship for the 2017-18 year. 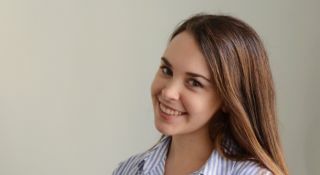 Darlison, a student at the University of Waterloo in the global business and digital arts program, has been studying and working in multimedia development, UX and UI design, marketing, and business analysis. She will receive an award of $2,000 to be applied to her academic fees for her senior year of study at the University of Waterloo. Darlison provided the review committee a link to her website, showcasing her work and studies. Donations to the DSF’s Geri Wolff Scholarship Fund are welcome from any individual or organization that would like to help foster the advancement of women in the digital signage industry. To donate, click here.